Under Armour launched its newest youth outerwear collection this fall. The line offers a variety of comfortable, durable and performance-driven styles for children ranging in sizes from toddler to youth XL. While developing the collection, designers studied young athletes in order to better understand the performance needs of their outerwear. The result? A collection of jackets that was designed to keep up with kids’ needs in every environment, while maintaining industry leading performance to keep them at the top of their game. These jackets are lightweight yet still warm, and include key feature benefits such as multi-function pockets and stretch for mobility making this Under Armour’s most technically advanced collection. Every piece in this outerwear collection holds up to the innovation and technology athletes expect from Under Armour. Key technologies include: UA Coldgear to keep kids warm, dry and light; UA Storm to repel water without sacrificing breathability; and the UA UGrow System to allow sleeves to extend an extra two inches so the jacket can last more than one season as kids’ bodies are growing. Under Armour turned to a crew of up-and-coming young athletes to help introduce the collection including football standout Bunchie Young, figure skater Audrey Shin, free-skier Troy Podmilsak, soccer star Chloe Shimkin; International Youth Boxing Champion Jesse Mehler and nationally-ranked twin snowboarders, Devin and Barrett Hendrix. The #CrushTheLimits campaign was developed to connect with youth consumers and inspire kids everywhere to #CrushTheLimits in whatever their passion is. 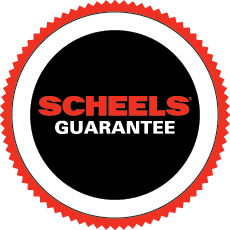 Check out the new Under Armour outerwear jackets below or stop in to your local SCHEELS store and speak with a youth clothing expert.